SAFE, SECURE AND SINGULAR FOCUS. All pre-operative and fully monitored post-operative recovery care is provided right in our facility, with nearly all procedures using conscious anesthesia for maximum comfort and safety. 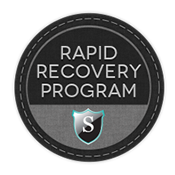 To back up our commitment to quality, the Smith Cosmetic Surgery surgical suite is credentialed by the non-profit Accreditation Association for Ambulatory Health Care, a certification comparable to those required at hospital-based facilities. 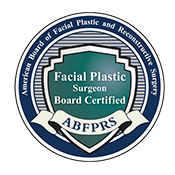 Dr. Smith and staff have chosen to undergo this voluntary, hospital-grade scrutiny to keep accountable to the highest of standards—and deliver the highest level of care to our cosmetic surgery patients. Please contact Smith Cosmetic Surgery today to schedule your free, personal consultation with Dr. Smith.